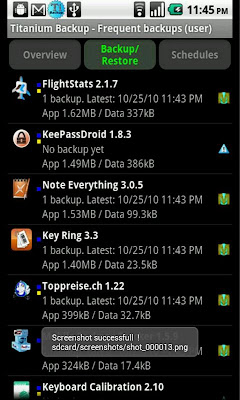 Titanium Backup Application is a great and reliable way to backup all your phones data. Anything from applications, documents, settings, and more. The quick and easy steps for backing up your information and restoring the information allows for a stress free process. This application is free however, there is a paid version which offers a wider array of settings and SDcard backup as well. This is $6.99 in the android market place.